So you’re thinking of getting a deposit bond? Whether you’re a first-time home buyer, downsizing or buying off the plan, chances are you have a few questions. After all, buying any property is a big decision – you need to know the facts before you start. Don’t worry – we’ve got the answers you need. The more you know about deposit bonds, the better you can prepare for the process and the sooner you’ll get the key to your new home. #1. WHEN DO I PAY BACK THE DEPOSIT? You actually never pay us back unless there is a claim. Our role is to “guarantee” you for the deposit bond amount right up until you get the funds at settlement. In other words, our deposit bond tells the vendor that you’re good for the money. Then, at settlement, you pay the full purchase price plus the deposit and any additional costs, like stamp duty. The only money that is exchanging hands is the deposit bond fee, which you pay to us upfront. #2. 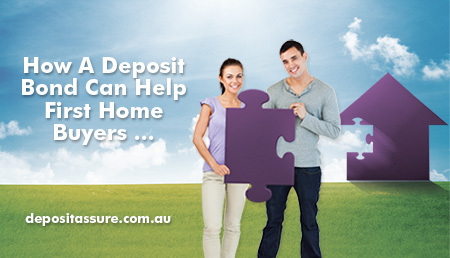 HOW MUCH DOES A DEPOSIT BOND COST? It couldn’t be easier to determine how much your deposit bond will cost. Go to our online fee calculator and enter your deposit bond amount and the term (the amount of time you need the bond for). As a guide, if you have finance approval that is unconditional or, at a minimum, subject to a valuation and your property is settling in less than six months, the fee is 1.3% of the deposit bond amount. Do the maths and a $50,000 deposit bond will cost you $650. If you are buying and selling, with settlement within six months, and the funds from the sale will be enough to purchase your property outright, the charge is also $1.3%. For everything else, like off the plan purchases, auction bonds, settlements greater than six months, SMSF or Company / Trust applications, use our fast online fee calculator. #3. DO WE PAY INTEREST? The short answer is no! 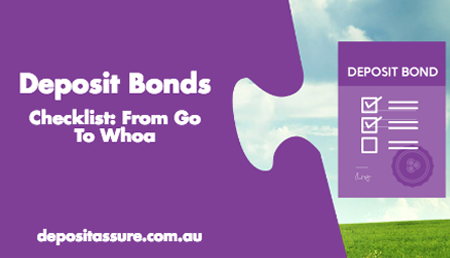 You only pay the one-off fee just before your deposit bond is released. In most cases, that makes a deposit bond more financially beneficial than a loan or redrawing – as our clients Steve and Samantha found out: “I simply worked out that, by putting the cash on our mortgage rather than using it for a deposit, over six months we would save around $5000 on interest. And that takes into account the deposit bond fee,” explains Steve. “It just made sense.” Read Steve and Samantha’s real life story here. #4. HOW QUICKLY CAN A DEPOSIT BOND BE ISSUED? Faster than you think. Our concierge team will conduct a phone interview to assess your eligibility for a deposit bond, as well as collect all the information we need. 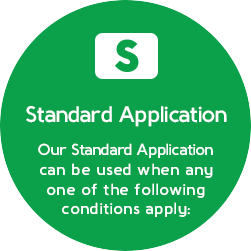 Once you return your signed application with supporting documents, we can approve it in minutes! Once approved, the deposit bond is released immediately. Copies of your unsigned deposit bond are issued straight away to all parties (conveyancer/solicitor on both sides, real estate agent, mortgage broker, and the purchasers). 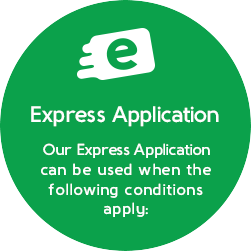 Then, the signed deposit bond is sent via express overnight post to your nominated party – normally the purchaser’s solicitor or conveyancer. So, we can move as quickly as you can get us the documents we need. #5. AM I ELIGIBLE TO GET A DEPOSIT BOND? Each case is different, and our team can tell your eligibility with a quick phone interview. Simply request a concierge officer to call you and they’ll be in touch within one business hour. ✓ We can issue you a deposit bond on the basis of your formal finance approval subject to valuation or unconditional approval. 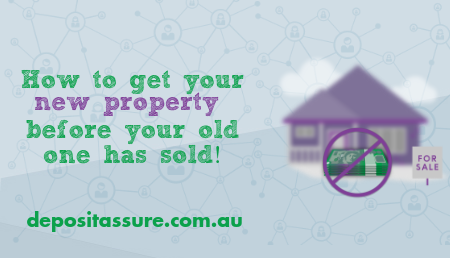 ✓ If you are buying and selling a property, you can also be eligible for a deposit bond. If you’re unsure, speak to your concierge team, and they’ll put your mind at ease. #6. I AM A FIRST HOME BUYER, CAN I GET A DEPOSIT BOND? We know how difficult and frustrating it is for first homebuyers to get into the property market. The good news is a deposit bond can help. If you already have formal approval for your finance through a guarantor loan and your property settles within six months, we can issue you a deposit bond on this basis. 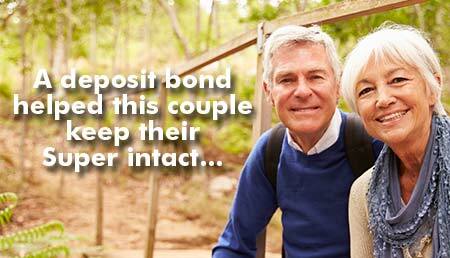 No need for your guarantor to also sign your deposit bond (phew!). If settlement is greater than six months, or you don’t have finance approval, you will need a guarantor to apply with you for your deposit bond. We need you or your guarantor to have a property with the required equity to release a deposit bond. This is so we can ask your guarantor to pay back the deposit amount in the unlikely event of a claim on your bond. #7. I AM BUYING OFF THE PLAN – HOW LONG DOES THE DEPOSIT BOND NEED TO BE MADE OUT FOR? In most cases, buying off the plan requires the deposit bond to be issued up to the “sunset clause” date. The sunset clause date is a provision in off-the-plan contracts that allows either the vendor or the purchaser to rescind the contract if the title to the property has not been created by a specific date. You will find the sunset clause date in your contract of sale, or just ask your solicitor or conveyancer. While you’re there, look out for a separate clause in your contract relating to deposit bonds – some vendors may request to add additional time on a deposit bond. #8. 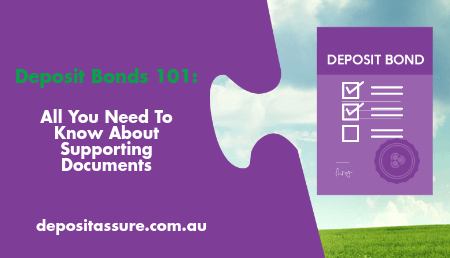 DO I NEED TO SEEK APPROVAL FROM THE VENDOR TO USE A DEPOSIT BOND TO SECURE MY PURCHASE? Definitely. We recommend to always check with the real estate agent/ vendor to make sure they will accept a deposit bond instead of a cash deposit. #9. 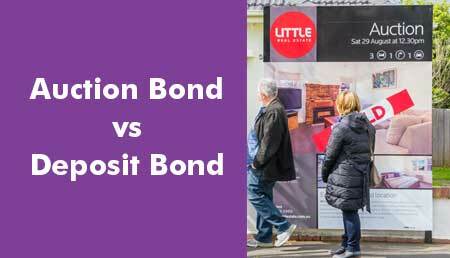 WHAT ARE THE DIFFERENCES BETWEEN A DEPOSIT BOND AND A BANK GUARANTEE? ✓ Bank guarantees are secured – they require real estate or cash security to release. ✓ Deposit bonds are unsecured – when we do an assessment of your eligibility to get a deposit bond in cases where you do not have finance approval, we are doing so just to ensure you have the required equity calculation to support a bond in the event of a claim. ✓ Bank guarantees usually have higher set-up and ongoing costs compared to the one-off deposit bond fee. ✓ Bank guarantees have more paperwork for set-up compared to the fact deposit bond application (especially when you use our concierge service!). ✓ Deposit bonds are usually faster to obtain than a bank guarantee. #10. WHAT DOCUMENTS WILL YOU NEED FROM ME? ✓ Liability statements e.g. credit cards, home loans, personal loans, car loans, etc. Ready to go? Got more questions? Our deposit bond concierge team is on hand to answer your questions and guide you through the entire process, from start to finish. Click on the button below, submit your email or phone number, and we’ll get back to you within one business hour.